Campus police sends o cers trained in crisis intervention to conduct wellness checks. CT file photo by Julie Tripp. 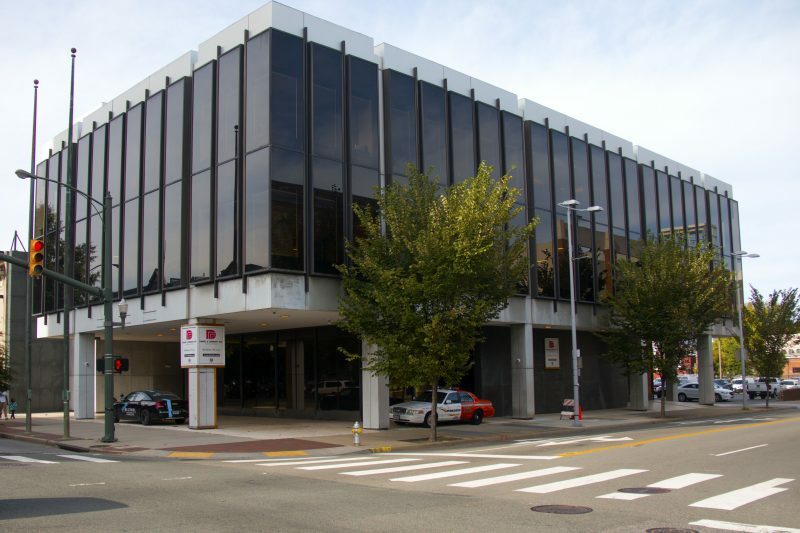 An ordinance that will go before the city council today could greatly increase the scope of the VCU police department’s jurisdiction in Richmond. The proposal was brought forward by Richmond police chief Alfred Durham and sponsored by Mayor Levar Stoney on Dec. 5, 2018. 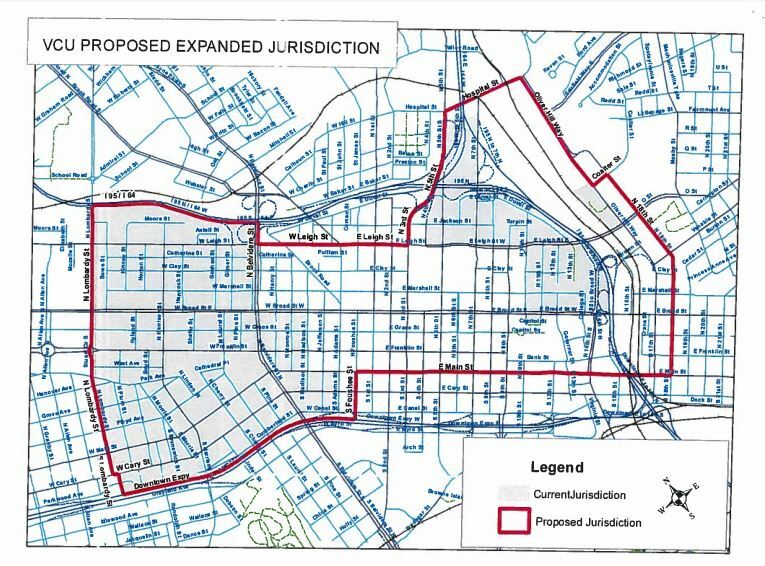 If approved, it would almost double the area where VCU police can patrol and enforce the law. VCU PD have the same arrest authority as Richmond Police officers under state law. The council will meet at 6 p.m. to consider the ordinance. The proposed new jurisdiction, outlined in red, would almost double the area where the VCU Police Department can patrol and enforce the law. Source: Richmond City Council. VCU has properties outside of the campus police’s current jurisdiction. But officers have no authority in those areas and cannot conduct arrests in those places, according to a police spokesperson. If passed, the ordinance would give campus police enforcement authority and allow them to patrol those places. VCU Police has shared jurisdiction with Richmond Police for more than 30 years. The last expansion of the VCU Police district took place in 1999. The department currently has 99 officers. A spokesperson told The CT they do not plan to increase the number of officers if the proposal is approved. The security firm RMC Events, which is contracted to VCU, would not be affected by the expansion. The VCU chapter of Amnesty International, a human rights group, will attend the meeting to speak out against the ordinance. “We understand that as current VCU students we have a responsibility to speak up when our university tries to endanger and gentrify Richmond’s historically black communities who are already being over policed by the Richmond Police Department,” said Nathan Land, a member of the organization. The Richmond Police Department and Mayor’s office did not immediately respond to request for comment.